The new kid on the block, LrControl from Peltmade, is looking like a very promising and economical option for midi controllers on both Windows and Mac. The LrControl functions are almost entirely focused on the Develop module, apart from star ratings and flags. At the time of writing, LrControl can affect about 160 different Lightroom sliders/buttons, depending on the number of buttons, dials (encoders) and sliders (faders) on your midi controller. If you had a fader for every slider in the Develop module, you’d need a controller that took up your entire desk, and you’d need very long arms. Hardly ideal! To solve this issue, midi controllers use the concept of layers – essentially switching sets of controls, like a modifier key. When you press one button, the faders affect the Basic sliders. Press another button, and the faders change the Effects panel sliders (and LrControl very helpfully opens the applicable panel too, so you can see what you’re doing). This means a huge number of controls can be fitted into a small space on your desk. Most midi controllers are not motorized. This means that the fader position doesn’t match the slider position when you switch photos. If you moved the Exposure fader right to the bottom on the previous photo, when you start to move it on the next photo, Lightroom’s Exposure slider jumps to -5 and the picture goes dark. This can be quite disconcerting, and is hopeless if you’re trying to tweak photos that you’ve already edited. This can be avoided by using devices such as the Behringer XTouch Mini, with its endless encoders (dials), or the Behringer BCF2000 with its motorized faders that automatically move to match the Lightroom settings for the selected photo. On devices which don’t have motorized faders, such as the nanoKONTROL2, you can use a button to enable “pickup mode”. 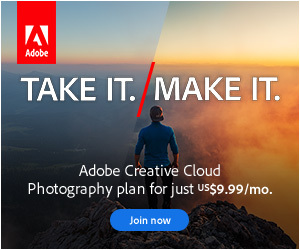 This ignores your fader movement until you reach Lightroom’s current slider value. It feels quite odd to move the slider in the wrong direction before you can move it in the right direction. For example, if the fader is at the bottom, and you want to darken the photo, you have to move it upwards, past the current setting (e.g. half way), and then down to your desired brightness. If you have an inexpensive and small midi controller, this is the compromise you make. There are still some missing functions that I consider essential – most notably, the Previous and Sync buttons. It’s also missing a few checkbox toggles, such as Constrain Crop, so you may still need to reach for the mouse occasionally. LrControl can’t apply Develop presets yet either, which may be an issue for heavy preset users. These omissions are purely a sign of its early stage of development, and having talked to the developer, I’m sure they’ll be added in due course. Because LrControl uses a Lightroom plug-in, it only works with Lightroom. That said, other software is available, which would allow you to use the same midi controller in other programs. I’ve been testing the 1.4 release, due for release later this week, which adds customization. This means you can change the behavior of various sliders and dials to suit your own needs, which will be a welcome addition. Because LrControl uses a separate device, rather than your standard keyboard, it doesn’t override any of Lightroom’s normal keyboard shortcuts. This is particularly useful where specific commands, such as the Previous button, aren’t currently available on the midi controller. LrControl uses a Lightroom plug-in, so it’s quite responsive. There’s a slight lag initially, just to give Lightroom time to fully load the photo. If you’re looking for blazing speed on a high volume of photos, midi controllers aren’t the tool for the job, in my opinion, as there’s too much hand movement involved. They’re better suited to slower, more thoughtful editing, allowing you to focus entirely on the photo without having to look at the sliders. The setup process is very simple, with a standard installer that puts the plug-in in the correct location. If the midi controller is at its factory defaults, there’s no additional setup to do. If you purchase a second hand midi controller, you may need to figure out how to reset it. Personally, I found the layout of the Behringer BCF2000 quicker to learn than the nanoKONTROL. The only oddity is the Temperature control, which is split across 2 dials because the slider range is so wide. The first dial makes large adjustments, and the second makes finer adjustments. There are a couple of places where the default fader order doesn’t match the Lightroom slider order (for example, the Tone Curve faders), which makes it difficult to remember which is which, but with the new customization feature, you’ll be able to switch them round quite easily. The size of midi controllers varies. By way of comparison, here’s the Behringer BCF2000 (left), the Apple keyboard (top right, for comparison), the nanoKONTROL2 (center right), and the Behringer X-Touch Mini (bottom right, aka the PFixer MiniMal). As we said in the PFixer review, midi controllers aren’t built for this type of use, so the ergonomics aren’t perfect. The Behringer BCF2000 is huge, at approximately 13″ x 11.8″ x 4″ (33cm x 30cm x 10cm), so you’ll need plenty desk space to spare. The sliders and dials move easily, and if you’re going for a midi controller, the motorized faders are worth having. Even with its huge size, this would be my choice of midi controller. Because of its height, it would be more comfortable to use on a lower desk or on a lap tray. A large under-desk pull out keyboard drawer would be ideal if it had enough clearance, saving desk space and putting the device at a more comfortable height. At the other end of the scale, the nanoKONTROL2 is just 12.80″ x 3.27″ x 1.18″ (32.5cm x 8.3cm x 3cm). The encoders (dials) and faders (sliders) are slightly stiffer to move and the shorter length of the faders makes it more difficult to fine tune the slider position. However, it’s very inexpensive, has a huge number of controls, and if you’re interested in using a midi controller with Lightroom, it’s a good way of dipping your toe in the water. 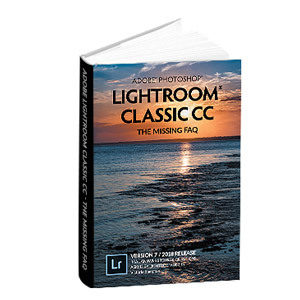 LrControl only works with the current Lightroom version – Lightroom CC or Lightroom 6. Since it uses Adobe’s Lightroom SDK, it should work in future versions of Lightroom too. It works with all of the operating systems that Lightroom supports. All of the supported controllers are USB compliant, so no drivers are needed. 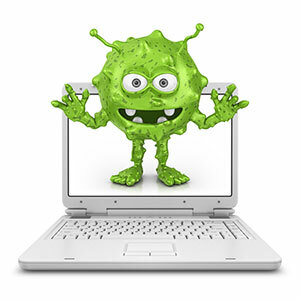 This means you don’t need to worry about it breaking when you upgrade your operating system. The installation process is simple, using a standard installer, and there are demo videos on Peltmade’s Vimeo channel, showing how the controls work with the most popular controllers. The tables of controls for each midi controller look quite complicated to start with, due to the sheer number of controls, but they become easier to understand once you get the hang of layers (sets of settings). It’s worth printing the PDF so you can refer to it frequently until the controls become second nature. It’s clearly early days for LrControl, and the website and software are still under development, but I’ve found Boudewijn to be very responsive to suggestions and feedback. nanoKONTROL2 costs around $48/£34.00 * from Amazon. There is a trial version of the software which works for the first 10 minutes every time you open Lightroom. You’ll need a controller, of course, but many online stores accept returns if you decide it isn’t for you. * Full disclosure – Boudewijn loaned me a Korg nanoKONTROL2 and Behringer BCF2000 for testing. I receive no compensation for this review. fantastic article! a true service! … i found this article because my “vsco keys” setup finally stopped working (they went open source about a year ago and stopped updating). Now I am freaking out… I really like everything that you outlined but I need one more feature… I am fully dependent on being able to assign keyboard functions to develope presents (push key and a preset is applied). The open source version of VSCO keys wasn’t very great but being able to assign develop presets easily cuts my wedding edit time in half. Are there any options for a windows user like myself??? I have the MIDI controllers Behringer X-Touch mini connected with MIDI2LR to Lightroom. Works beautifully. Having used both Pfixer and LrControl which package would you recommend? I’ve read your reviews of both products and I’m curious as to how they compare to each other. 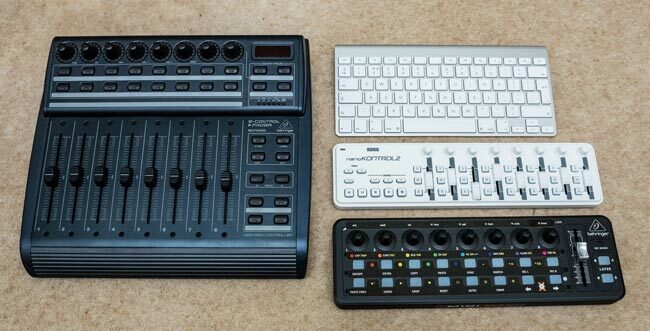 I’ve just bought Pfixer bundled with a MiniMal but I’m wondering if LrControl and a Korg nanoKontrol2 are a better combination – the larger MIDI machines are of no interest to me as they take up too much desk space. I can always use one at home and the other at my desk job. I’d trial both if you can. I liked the feel of the dials on the MiniMal / X-Touch Mini better than the nanoKONTROL dials. In theory, the MiniMal could also be used with LRControl, but I couldn’t get it to work, so it may need resetting to factory defaults in order to do so. The PFixer software is more flexible, in terms of the number of different kinds of devices you can use it with, but the LRControl software is being updated more frequently and is probably more reliable since it uses the LR SDK. Since there is a degree of muscle memory involved in using these devices, I’d probably suggest using whichever you decide on in both locations, rather than one in each. Thanks for the prompt reply. I guess the third option is to use midi2lr. I suspect I will give each of these a try once my minimal shows up. I’ll try to remember to follow-up with a comment once my experimentation is done. Hi and thanks for this review. 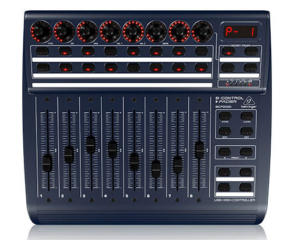 After some research I opted for an off-the-shelf Behringer X-Touch Mini (same model as the PFixer MiniMal) plus the LRControl software. I did this because X-Touch requires a hardware tweak for it to be usable with PFixer, and the editor is only available on PC (I use Mac). Also, I so some audio and so I want to use the MIDI controller for that as well. I mention all this because of the required modification to the X-Touch for it to work with PFixer, and which is also why the MiniMal wont work with LRControl. I tried the PFixer demo with the stock X-Touch and it didnt work. In some ways I like the PFixer software better, but as you suggest perhaps it is just a matter of time before Mr. Pelt catches up. I certainly hope so. Thanks again. Hey, the Behringer is a good alternative, and works fine with Software. The only disadvantage is that the buttons are not to rotate with one finger.